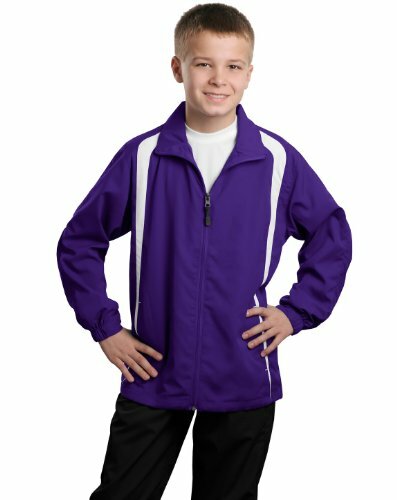 Sport-Tek Youth Colorblock Raglan Jacket>XL Purple/White YST60 by Sport-Tek at Atlantic United Soccer. MPN: YST60. Hurry! Limited time offer. Offer valid only while supplies last. A lightweight top layer this jacket takes on unpredictable weather with athletic colorblocking superb functionality and exceptional breathability.